Because time is very important for all of us, our professional organisers will take all your stress out of decluttering and organising your living space. Our main goal is to make your home a stress-free space, by making it again a living space and getting functionality back to your home. 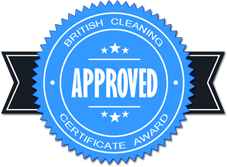 Affordable Cleaning Services provides a decluttering and organising service for every home. The service we provide helps with organization, making your home more efficient. The professional organisers we have will bring tips to help you organise, storage and declutter your space. To make your home a living place again we declutter and organise all areas overflow with stuff like laundry room, garage, shed and also organise every little space, including cupboards and pantries. We are open to any additional services our clients would be interested in.